Getting more antioxidants and phytochemicals is one of the easiest ways to prevent cancer, reach your physical peak and have lots of energy. Sprouting grains, non-GMO seeds and legumes can increase your nutrition by up to an astounding 900%. Sprouts are also full of minerals, amino acids, protein and chlorophyll. 1. Begin with the easy ones. 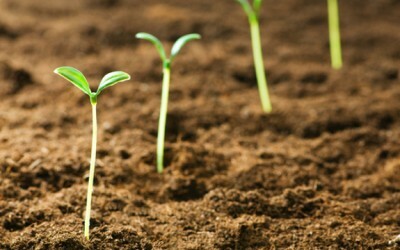 If you want to sprout seeds, broccoli, alfalfa, mustard or radish, sprouts are super easy to grow. You can also try sprouting legumes. Lentils, mung beans and adzuki are really easy ones to begin with. You can also sprout your beans and still cook them, boosting their nutritional content exponentially regardless. Just make sure you buy ‘seed quality’ legumes before sprouting. 2. Get your supplies. You don’t need much. Start with some wide mouthed mason jars with perforated lids, or you can buy sprouting jars online that have plastic perforated tops already. You will need to rinse and drain your sprouts, that is why you need perforation. You can use nylon cut into squares and rubber bands to cover your lids if you are doing your sprouting DIY style. You may also want a large shallow pan to drain your jars into. Once you set out your jars, make sure they are not in direct heat or a draft. They like a shady area with no extreme temperatures – ideally around 75 degrees Fahrenheit, but this doesn’t need to be exact. 3. Measure your seeds and get your filtered water ready. For every one cup of sprouts you only need about ¼ tablespoon of seeds. Measure your seeds or legumes into your jars, and add water. Cover them completely. The water should be reverse osmosis filtered or distilled for best results and health. 4. Next, put your perforated lids on your seeds and allow them soak for a few hours. You want them to soak up the water but not get mushy. You will then drain them off and leave them alone. 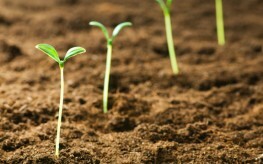 You will do this for about three to five days, depending on the germination rate of each seed or legume. Soak, rinse, repeat. Make sure you rinse, because natural toxins are released into the water when you soak the seeds (like cyanide in many legumes). 5. Allow the sprouts to start growing. Once the seeds start to sprout, place them in the sun. They will be treated like plants for a few days. You want them to get a good start, as if they were going to be a full-grown plant, with about a ½ inch or inch of growth before you consume them. This will ensure they are at the peak of their nutrition. 6. Once the sprouts are grown, place them in an air-tight container in the refrigerator and consume at your leisure. They will last about a week before you will need to grow some new ones, but since it is such an easy process, you can ensure you have fresh sprouts all the time. There are so many benefits from sprouts…my cockatiel loves them, too. I find that when I buy them, there are too many not to share with a family, friends and neighbors. Here's a recipe you might enjoy: Start with 2 slices of multigrain bread…try to avoid wheat bread (we eat way too much wheat in this country and the gluten is harmful to many people). Spread bread slices with cream cheese, one sliced avocado seasoned with lemon juice, and about a TBSP of creamy garlic dressing. Top with alfalfa sprouts. Enjoy.